Earl C. Spruiell left us Monday, November 26, 2018 due to cardiac arrest. Earl was born to Leldon and Claudia Spruiell on December 30, 1938 in Iowa Park, Texas. His Christian roots ran deep as he was the son of a “Baptist Preacher Man” and a strong Christian woman. Earl married Jane Marie Bradley in 1972 in Joplin, Missouri, and they loved their life together for 46 years. Earl was blessed with three great passions; Family, the Bank and Fishing. At 79, Earl enjoyed a quite large and ever-growing family. Earl was very proud of his children: Woodard Earl Spruiell of Temple, TX, Shelly Eversole of Navarre Beach, FL, Robyn Cook and husband Jon of Cloudcroft, NM. He loved his grandchildren: Kayse and husband James Stark of Nixa, MO, Cody Eversole of Pensacola, FL, Ethan Spruiell and Katheryn of Belton, TX, Diana Cook and Jacob Cook of Cloudcroft, NM. Earl adored his five great grandchildren: Aiden and Kaitlyn Stark and Maybel, Peyton, and Norah Spruiell. He was also blessed with an extended Bank family that included their spouses and children. He loved ALL his families deeply. Earl came to Deming in 1975 as the Vice President of Deming National Bank. He later became President of the Bank which became 1st New Mexico Bank and 1st New Mexico Financial Corporation. He served the Bank in numerous capacities for over 42 years. 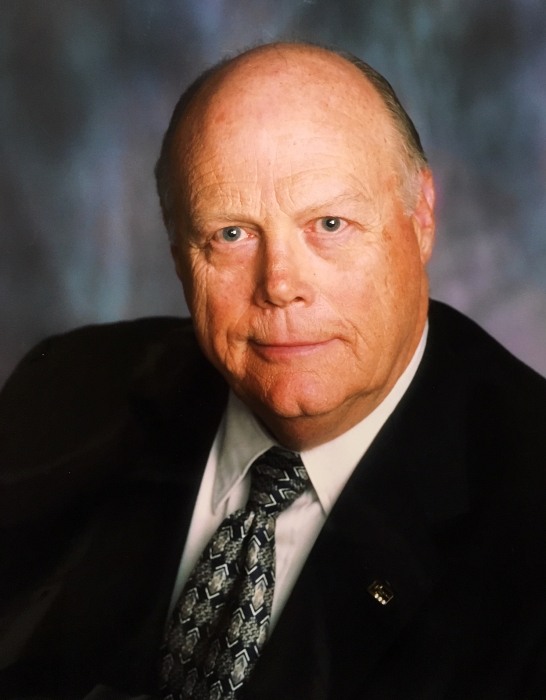 Earl has been greatly blessed and honored in so many ways serving his Family, the Bank, the Community, and the New Mexico Banking Community with love, support, and strong values. Earl always wanted everyone to have an opportunity for success and was extremely proud of 1st New Mexico Bank establishing a scholarship fund for the children of bank employees. Earl started fishing creeks and ponds in Texas and Oklahoma with his father. He was blessed with getting to fish with family and good friends at his favorite fishing hole, Lake Novillo at San Pedro de la Cueva, Mexico. Many of you know the stories that he loved to tell, he loved that place and the times there which became just a beautiful memory. Funeral services will be held Saturday December 1st, 2018 at 10 o'clock in the morning at First Baptist Church in Deming. Cremation has been entrusted to Baca's Mimbres Crematory as per his wishes. In lieu of flowers memorials may be made to the Scholarship Fund at First New Mexico Bank, P. O. Box 511, Deming, NM 88031 or Stroke Support in care of Baca's, P. O. Box 164, Deming, NM 88031.